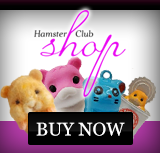 Hamster Club :: What makes an exhibition hamster? What makes an exhibition hamster? Judging standards for hamsters, generally call for the hamster's head to be as broad between the eyes as it is long, while the muzzle (the front of the face) must be short for the judges. 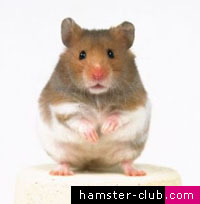 The size of exhibition hamsters tend to be relatively large, compared with those bred as pets, but judges do make allowances for the fact that female hamsters are naturally bigger than male hamsters. 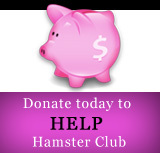 The hamster's eyes should be quite prominent on the face, with the ears being relatively large. Judges also take note of the coloration, markings and coat type of the hamsters. Clean fur with good shine to the coat is essential with the fur itself having to be dense over the hamster's belly area as well as the hamster's whole body. The hamster's fur should not be greasy.